All sizes and dimensions are nominal or based on approximate builder measurements. 3D Tours and photos may include dealer and/or factory-installed options. 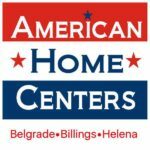 American Home Centers reserves the right to make changes in material, color, specifications, and features at any time without notice or obligation. © 2018 American Home Centers, All Rights Reserved.